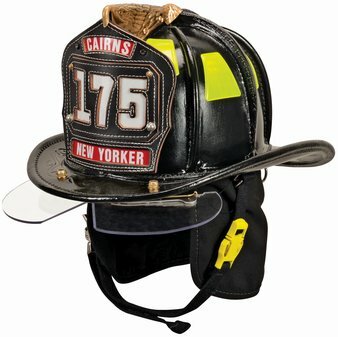 Online model includes Carved Brass Eagle,Leather/Sateen liner with Jumbo Nomex yellow ear flap, nomex quick release chin strap with postman's slide, and yellow reflexite trim. Other colors and options available. Please call for more information!